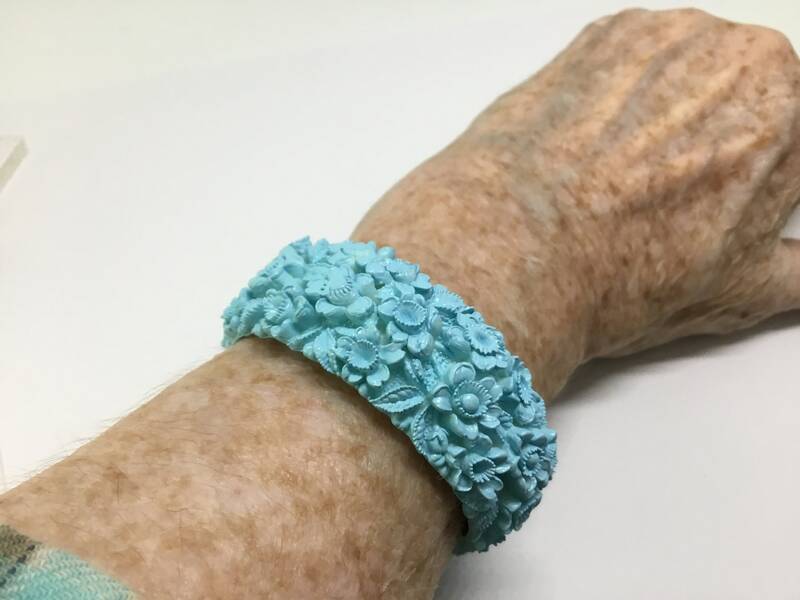 This is a sweet vintage 1950s pastel blue celluloid floral bracelet. 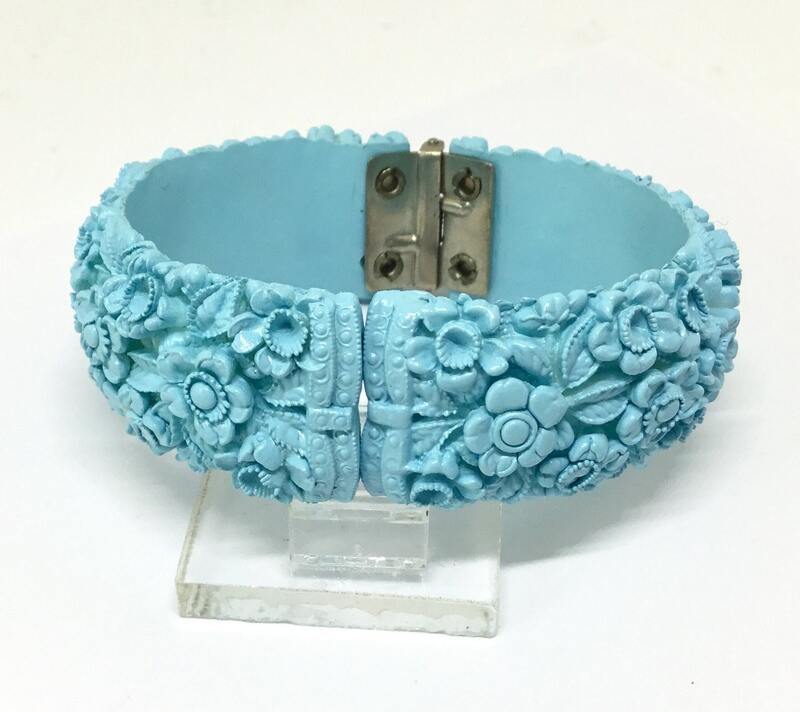 This vintage piece has a detailed carved or molded floral and leaf design pattern all the way around. 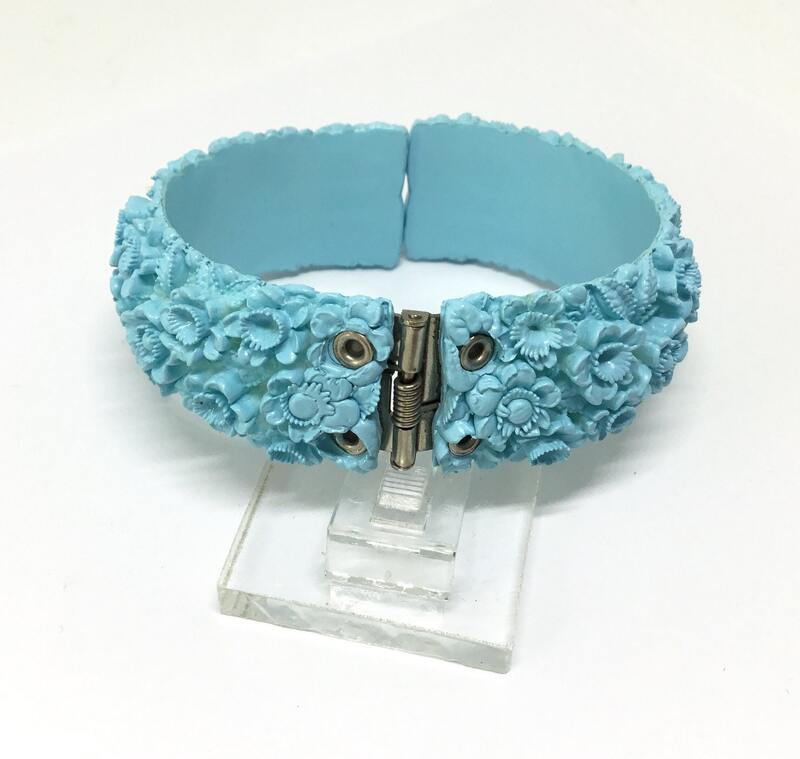 It has a silvertone metal hinged clamper design with a good and secure closure. It measures 7/8” wide with a 2 1/4” inner opening. 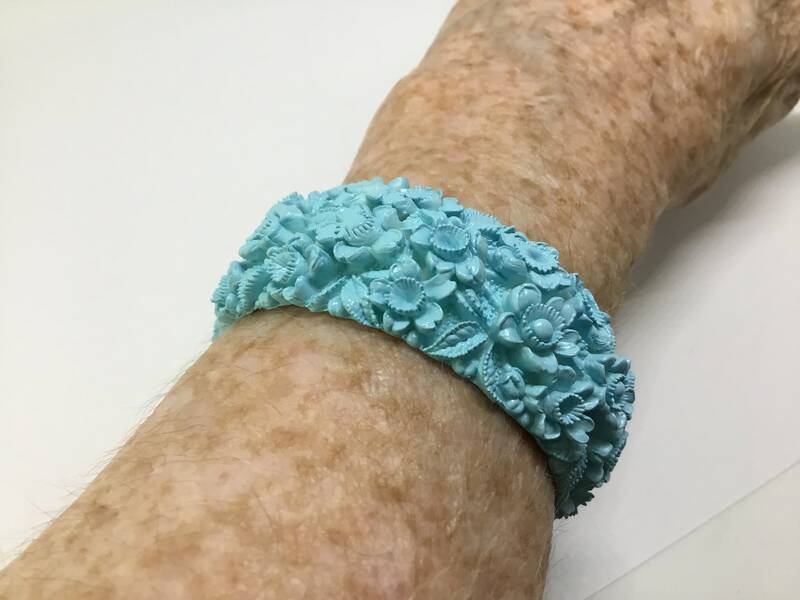 The hinged clamper style allows for ease in putting on and taking off and fits a small to medium wrist depending on how loose you want to wear it. 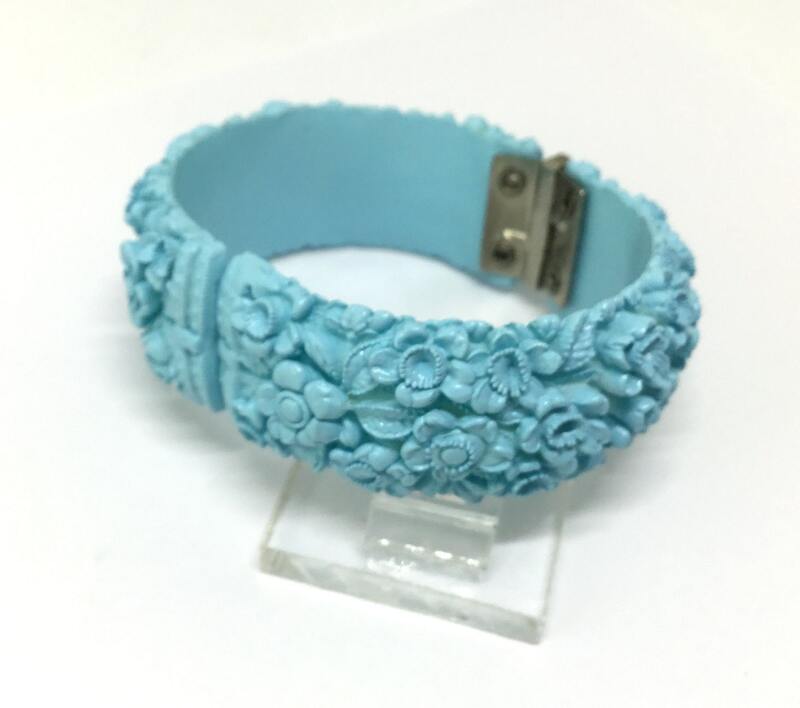 It has minimal wear is unmarked, and is in very good vintage condition. 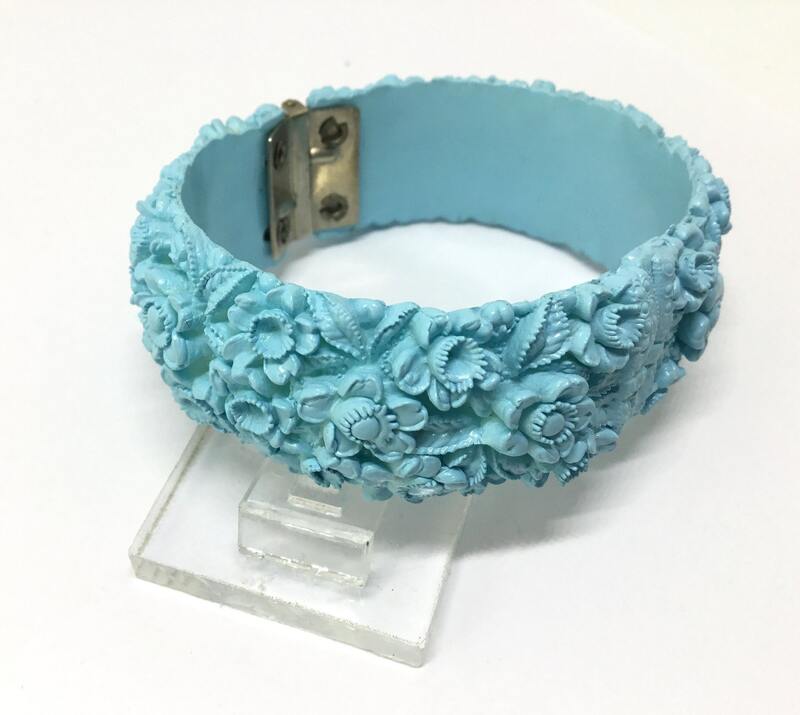 This lovely pastel blue bracelet will be great to wear for work or play and will look dreamy on your wrist!